History: The area located adjacent to the Dockyards was initially developed to provide housing to the men that worked at the Naval Dockyards. However, in the golden age of ship building the Old North End became a fashionable residential area, favoured by shipping merchants such as Samuel Cunard, the West Family and John McCully, a father of confederation. After sailing gave way to iron ships and steam, the neighbourhood returned to its former role as a place to live close to the Navy Yards and Downtown Halifax. Parks and Recreation: The most prominent parks in the area are the North Common and Citadel Hill. Originally part of the ‘common lands’ set aside in 1763 for common purposes, such as grazing of cattle and sheep “the Commons” feature a beautiful fountain, multiple sports fields and the popular new oval skating rink. Another popular facility is the Centennial Pool on the north side of Citadel Hill. Public Facilities: The largest facilities – with limited public access – are the Naval Base known locally as ‘Stadacona’ and nationally as Canadian Forces Atlantic and the Halifax Armory on the Commons. Schools: Joseph Howe Elementary, Oxford Junior High, Citadel High. Find out which schools your children will attend based on the address where they are living. Shopping: Perhaps the most diverse shopping experience in Halifax exists along the streets of the Old North End. Gottingen Street is home to art galleries, The Bus Stop Theatre space, East Coast Music Award Winner: Venue of the Year 2010 and 2011, The Company House, and many new shops and cafés to explore. Agricola Street is another popular street with many ethnic restaurants, antique shops, artist studios and furniture stores. Getting Around: The Old North End is within easy walking or biking distance to downtown, center town and to the bridge to Dartmouth. Biking is a great travel option since many homes in this community come without parking. You always hop on a bus as well. 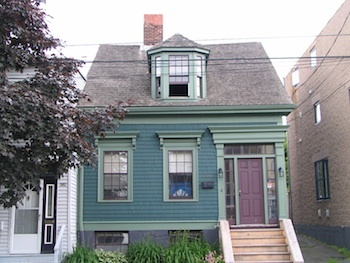 Home Styles: Home styles are generally of two types. 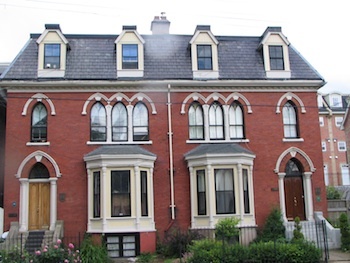 Although rare, one can still find the large stone, brick and wood homes of merchants along Brunswick and Cunard Street. 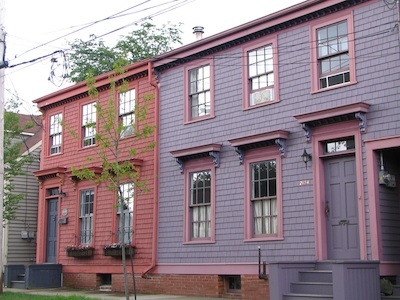 More typical, are the small wood frame semi-detached and row houses built from the mid 1850’s to the early 1900’s between Gottingen Street and the North Common. Most have been renovated or restored over the past twenty years. There are a number of new condo buildings – mostly along Gottingen Street. Home Prices: Detached, semi-detached and townhouse single family homes range from $ 225,000 to $500,000. There are very few detached houses and even fewer homes with onsite parking. Condos sell in the $ 220,000 to $ 400,000 range.